I had this great picture that I have been trying to post on this blog for the past half hour and IT WON'T WORK!!!! 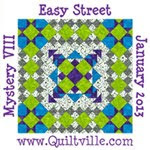 So far this weekend, I have finished step one of the mystery quilt and also have made 56 of the 80 strip sets for Swap 5. Sarah and Emma arre spending the night. Right now we have the Pollys in one area and boxes of Lego in another. Wild Willie was not in the mood for McDonalds and only ate a couple of french fries at the picnic. 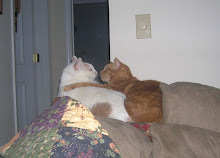 I so look forward to Thimbles weekend and when Saturday afternoon comes, I am sad knowing that it will be another month before we get together again.This month was no exception. Ms Queen of all the Thimbles previewed the next quarter features. Good things are acoming! 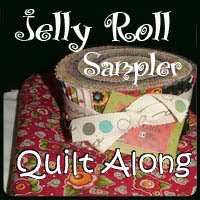 One of the newest temptations is a mystery quilt "Shhh...Don't Tell!" And I won't be telling or showing so as not to ruin other's surprise. But I have made my color selection as was the requirement for step one. It is a 2 color quilt. My constant will be as shown on the left top picture. It is a purple/taupy color. I am going to be making this from stash. No new fabric. Don't remember just why I bought this fabric. I think I intended it for a backing I guess I should leave myself notes on my purchases! The other picture is Swap 5. Several of my table mates love to swap. Kristie (the math coordinator figured out what we needed to swap) this time it is about a gazillion 1 1/2 inch strips. 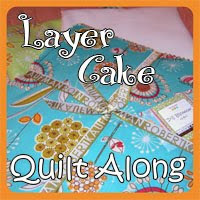 Quilt was featured on the cover of American Patchwork august 2011. We are doing this one in "romantic florals". 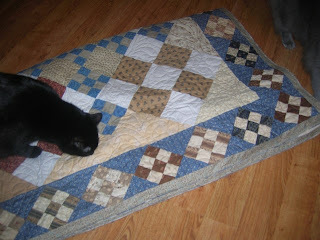 I love my other swap quilts with the exception of the first one. I made that one, didn't like the look, took it apart, changed the blocks and still hated it. I gave the top away! Back to my Thimbles. We have been together quite awhile. We have Pat our fearless leader, Sir Quilt Dude-her faithful sidekick (and the man who gave me the go ahead to retire) and so many talented and friendly gals. Yes we sew and share our ideas and quilts BUT it is sooo much more. Everyone should have some thimbles-they make life bearable! 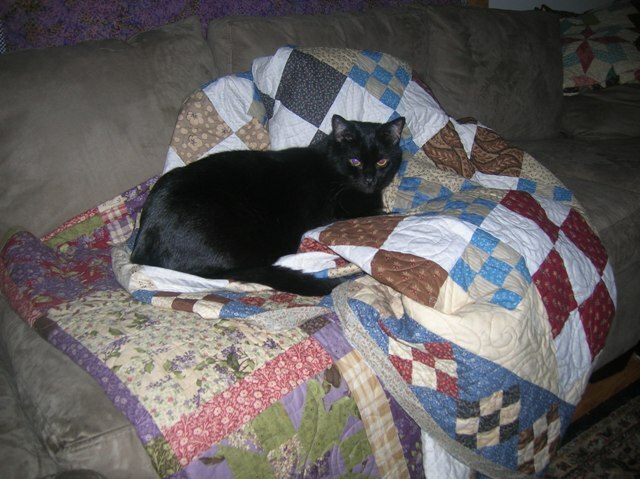 I have not told Spooky that this quilt will not be staying here. Every time I throw it down, he is on it. Maybe he is just prepping it for Lily. Yesterday Laurie was using it while she was reading on Sue's sun porch. The boys were busy. 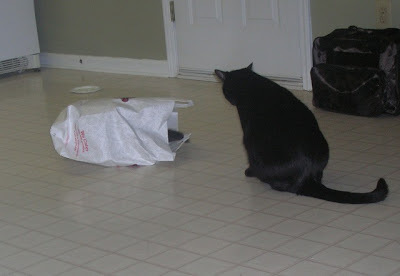 Wild Willie decided to investigate the inside of a bag and had Spooky being his watch cat. The entertainment was short lived! I got the gigantic quilt back last Sunday from Vicki. The thing weighs a ton! 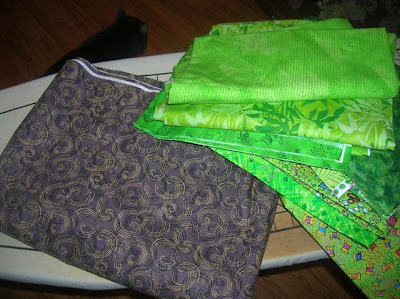 If I had tried to sew the binding on at home, everything in the sewing room would have been on the floor. (and considering there is already mucho stuff on the floor, it would not have been a good thing). I did not have enough of the blue fabric to make binding and I did not want to piece different colors. I did have a yard of fabric in the taupey family. Blue fabric would have meant a trip to Little Quilts and I didn't want to do that. At any rate, I like how the binding looks. I think Spooky approves because right now he is sleeping on the quilt. Has to make it ready. This quilt is for Laurie and Lily, #1 granddog. Pat, Thimble Queen, otherwise known as the normal one (haha) introduced a mystery quilt. When I came home, I had to forage in the sewing room to find some fabric...It was hard! I think I have made my color selection. But I am going to take it outside in natural light tomorrow just to be sure. Also started sewing on our latest swap. Lots of 1 1/2 inch strips to sew together. And now it is time to put the clean sheets back on the bed and have some good couch time. I was determined that I would not spend the entire weekend on the couch! 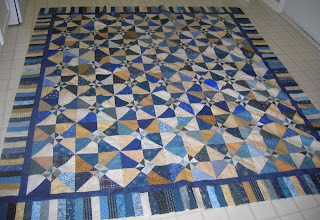 I had put together the blue and tan swap from last year's quilt camp and decided I would do a piano key border. I hate to say it took me the whole weekend to cut and sew the strips on. But the top is finished! And I love it. Vicki delivered the last quilt yesterday afternoon. It Finished at 112"! I have to make binding for this baby. It is going to live at Laurie's house when I get it done. Willie the quilt inspector did check it out and pronounced it ready for binding. 30 WORKING DAYS LEFT UNTIL RETIREMENT! I have been to the social security office and signed up and the day before yesterday let the bosses know....I AM RETIRING!!!!!!! It is a little scary but I want to get up in the morning and not worry about not getting assessments done timely or whether "the state" will come in on a complaint. I am done.....I don't want to be a nurse anymore!!!! 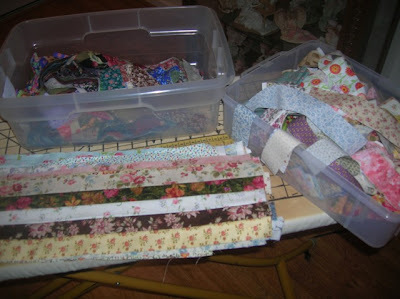 I want to play with my grandkids and play in my sewing room and hang out with my quilting buddies. so May 25th is 31 working days from today. 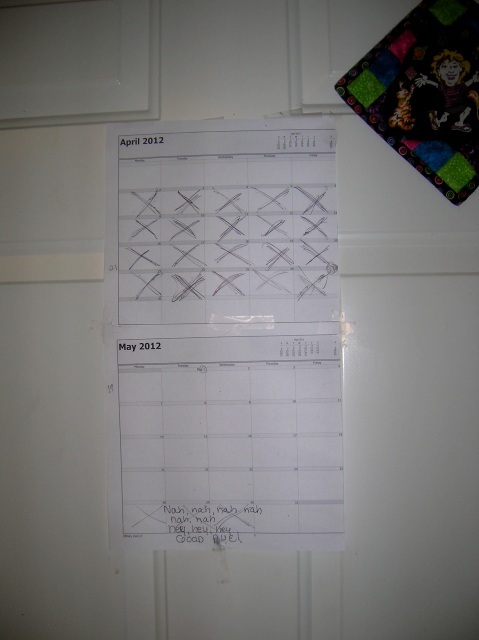 The countdown if officially on! !